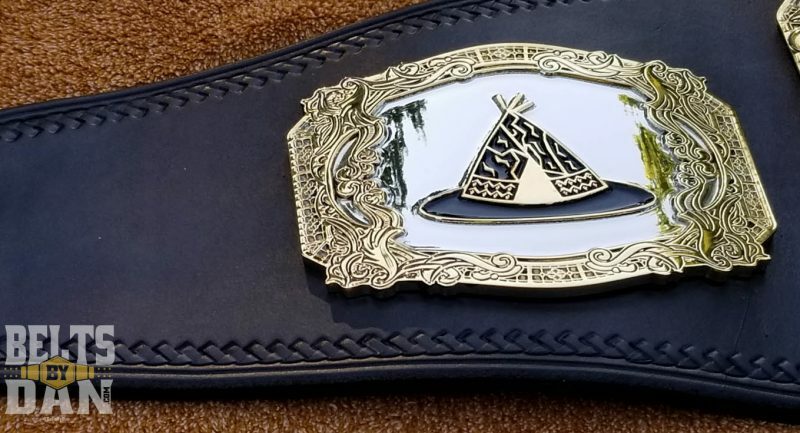 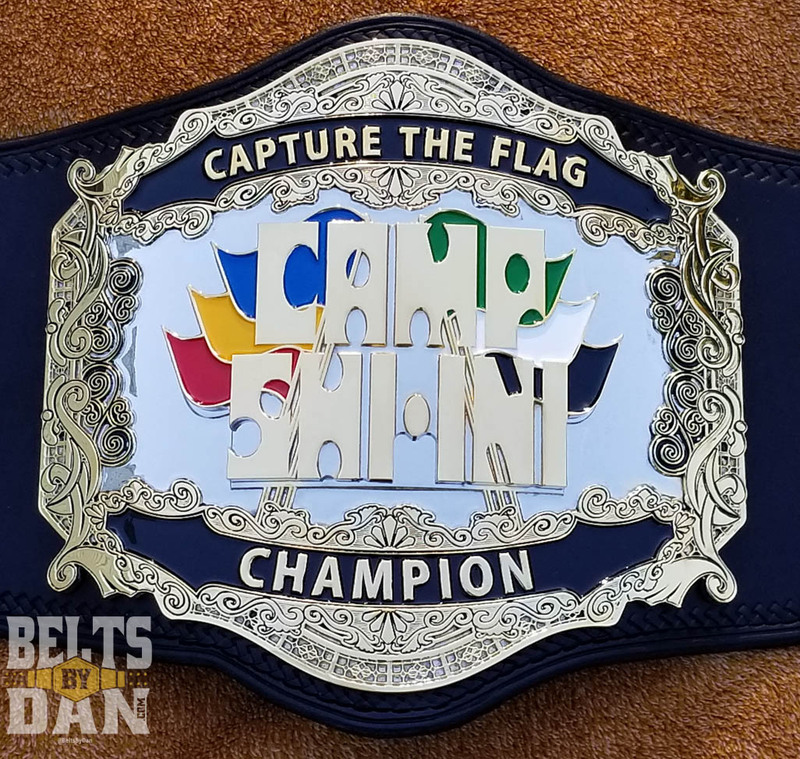 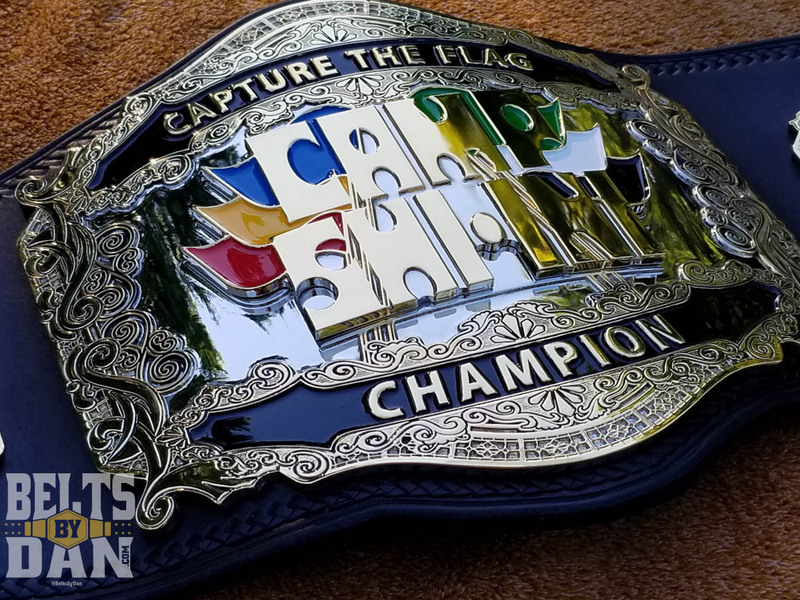 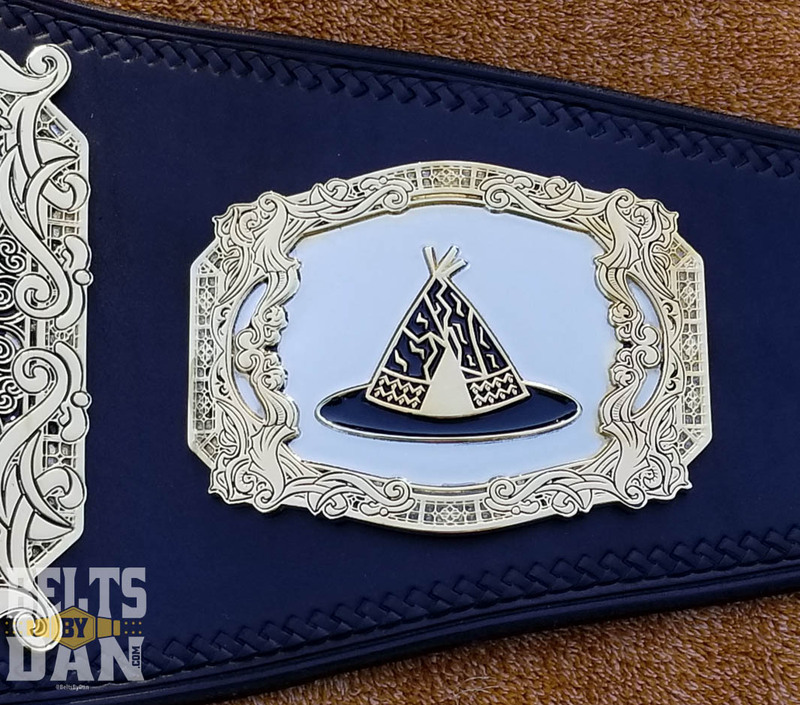 This custom championship was made for the campers of Camp Shi-ini to use as part of their Capture the Flag games. 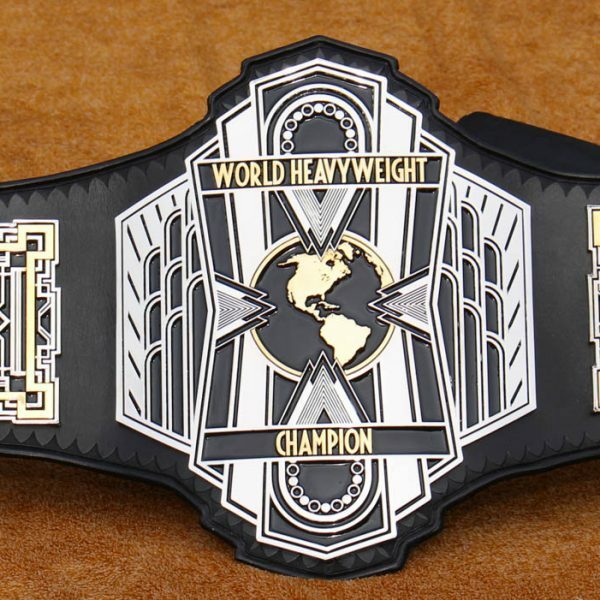 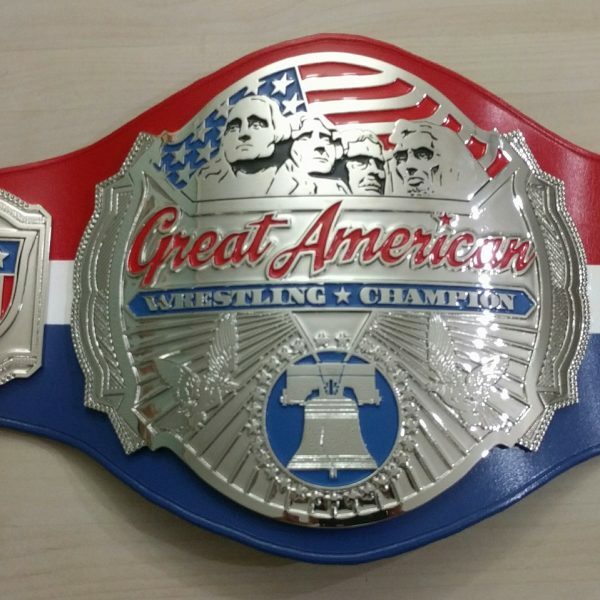 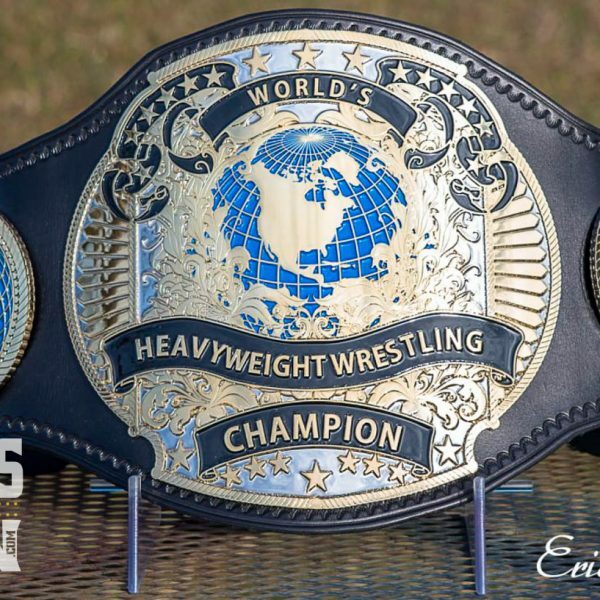 The belt is 3 plates, dual plated, with a stacked logo piece on the main plate. 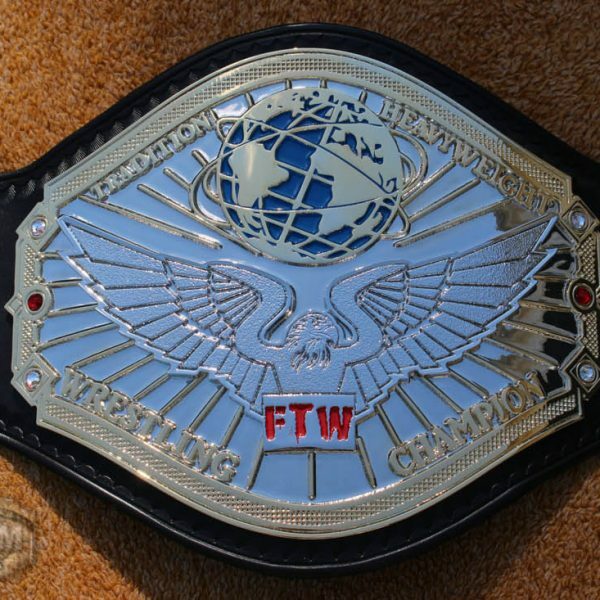 The leather features new simulated lace style tooling on the main plate and elongated basket weave tooling in the snap boxes.